When cataloging images of tuberculosis cells became too daunting for a research team at Harvard, they turned to crowdsourcing, and discovered that the masses have the ability to dramatically change the course of scientific research. Sarah Fortune, a tuberculosis (TB) researcher at the Harvard School of Public Health, had thousands of images of multiplying TB cells piling up in her lab. Her team of graduate students were inundated: all the pictures had to be labeled; some probably held the key to combating a deadly bacteria that infects one-third of the global population, mostly in poor parts of Asia, Africa and South America. But that information was locked away in images that could take years to decipher: a single day of research could take weeks to interpret. Fortune’s solution might prove to be a watershed moment in biology. After consulting researchers at MIT, she was faced with two options: spend years applying for grants building a image identification algorithm, or crowdsource the job. Fortune, like many of her colleagues, had never heard of crowdsourcing but made a connection through the organizers of PopTech, leading to a collaboration with Crowdflower. The implications may go far beyond Fortune’s experiment. CrowdFlower, a firm usually enlisted by Fortune 500 companies to farm out small data tasks piecemeal for anyone to solve, took on the challenge and designed a new protocol for the world to identify TB bacteria (you can try your hand at it here). CrowdFlower says it may now enter the science space. “I think it’s going to turn into a bigger project for us,” said Lukas Biewald, the company’s founder, at the 2011 PopTech conference in Camden, Maine . “We’ve done a bunch of other biology related tasks,” and more academic institutions are growing interested. Biewald is meeting with researchers at the conference to see where else the technology can be applied in research. For now, the focus in on TB. Fortune’s research is just beginning. TB remains one of the world’s most serious contagious diseases: two million die, and 15 million new active infections are diagnosed each year (most of these people carry latent infections until their immune systems are weakened). 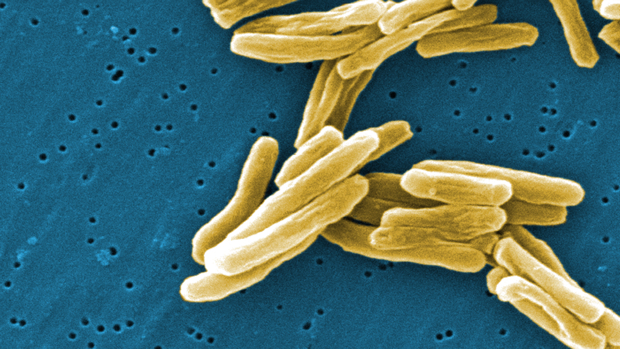 Despite the billions of affected people worldwide, only a handful of drugs are effective against TB, and they are slowly losing efficacy as strains gain resistance. Fortune plans to scale up the crowdsourcing approach to her research and start creating a massive image library of TB bacteria to better understand their vulnerabilities for drugs to target.